One of the Google Earth Community members called 'PriceCollins', has spent many hours carefully compiling, organizing, collecting, and explaining data errors in Google Earth. These errors are comprised of anything from image placement errors, photo blemishes, alignment errors, flashes (due to reflection of the sun), and even image processing errors (like the tiny bug in one photo - which is now gone, but you can see the screenshot here). PriceCollins has made a concerted effort to make Google aware of these errors and get them to fix as many as possible. He has organized his information in a thread of posts and created a comprehensive data error compendium of nested network links to let you peruse all the errors organized by type and location. The thread of posts includes a table of contents to help you understand the different types of errors. For example, look at "Camera Artifacts", or some may find the one on "Censorship" of particular interest. There are also errors from the data layers as well (such as misplaced water bodies). You should note that Google buys (or is given) their data from dozens of providers and the amount of data is huge. I'm sure with this much data (and new data every few weeks), that it is virtually impossible to remove all "errors". In fact, I think some of the errors make for fun discovery and sightseeing in themselves. But, it is a good idea to make Google aware of the errors so they can improve the experience for everyone. I've heard Google is actively working with PriceCollins to improve their data error handling processes. Way to go PriceCollins! I'm sure google will fix this and may even make this better.. I wonder would they condsider clouds covering areas of land errors ??? Well, I guess google guys are smart enough to accept whatever errors there might be and eventually fix it. 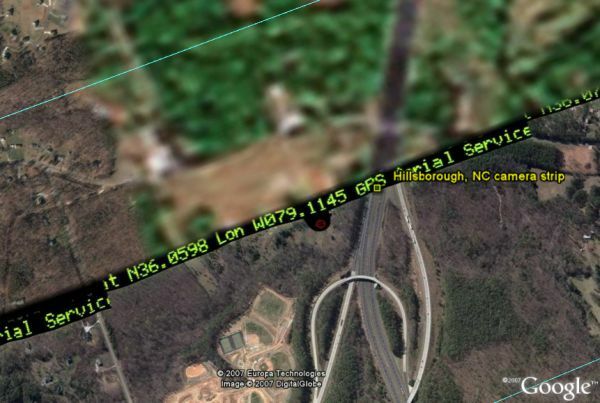 How does one report an error in the names of roads or streets on Google Earth?